Carson Dunlop home inspections provide unique value to homebuyers, sellers and owners. We are a consulting engineering firm, and Canada’s oldest and largest home inspection firm. Our experienced, efficient and friendly home inspectors are backed by over 40 years of experience. Our clear, image-rich inspection reports are the best in the industry. In fact, our knowledge and uncompromising standards have become the benchmark for our profession. 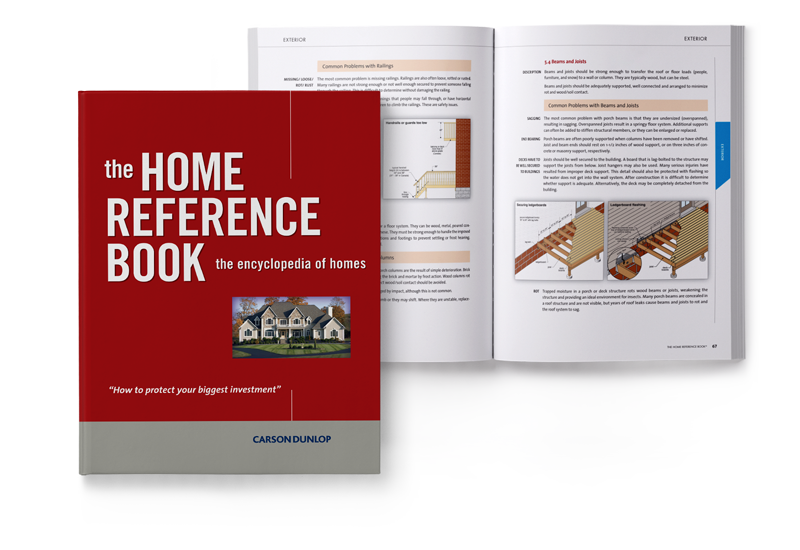 We literally wrote the book on home inspection. Access to Specialty inspection services like mould, asbestos, sewer video scans, etc. Carson Dunlop is the only consulting engineering firm in North America dedicated to all aspects of the building inspection profession. We not only perform home inspections, we also inspect commercial buildings, train home inspectors and provide state-of-the-art inspection software for the industry. We have helped shape the home inspection industry and continue to innovate to take care of our clients and advance the profession.